NOTE :The following is in response to questions on the Internet lists as to judging criteria for different styles as performed at Braemar. The same questions were asked to Charlie Mill SOHDA .." there is nothing mysterious in judging SOBHD technique/steps it is all written down for the world to see in black and white in their syllabus and booklets. Any adjudicator who has been trained in technique and varying styles would have no problem adjudicating the SOBHD dancers. Whether the same would be true of an adjudicator only having the experience of the limited repertoire of those same books, you would have to ask the SOBHD judge. Recently I have been asked as to which criteria I use in judging to decide who should win when adjudicating at events such as Braemar, where there are SOBHD judges, and SOBHD dancers doing the set steps, and where at the same events there are non-board judges i.e. Independent and SOHDA judges, and non board dancers who chose to dance steps and technique of their choice. The answer is very simple; I rely on my comprehensive and professionally certified proven knowledge of all the technical aspects pertaining to Scottish Highland and National Dancing. This question allows me an opportunity to address the question as to its roots of evolvement and the misconception of many that there is and always has been one school or "board" of thought. I would like to take this opportunity to help the parents and the dancers understand a little more on the unknown facts about associations, such as the SOHDA, HDSA and many other organizations that preceded the formation of the SOBHD that came into vogue in the early 1950's. The history now "under wraps" along with the political maneuvers that went into creating the SOBHD as well as those that were the founders, and the technical experts, and the self adopted title of "world governing body" In doing so perhaps those of this generation will understand why there are organizations that do not choose to register and finance the SOBHD (as an organization) or subscribe to the, better use of a word "dogma". Those, who themselves, are no less qualified in and in many cases perhaps equally or more qualified to represent as authorities or judges at the Scottish Games than those of the SOBHD; choose to belong to other dancing organizations not recognized by the SOBHD. The "board" as it is referred to was established to try to preserve and standardize the "art form of highland dancing". To record the technical aspects of all the methodology and styles being danced throughout Scotland and indeed the world. At the first meeting held in Falkirk, Scotland and indeed throughout the early development there were several organizations represented where there were professional experts having to deal with the "dance enthusiast (who lacked knowledge or professional background as dance competitors, or as true professionals in this field). But the "dance enthusiast" had aspirations of greatness or were deluded enough to believe that with a smattering of newly acquired knowledge of highland dancing that they were now the authorities, and hence the creation of the "board". Members of the Highland Dancing Specialists Association (HDSA) who were the elite competitors of the highland dancing platform, who had arrived at adult level of competition and an association that was very strong in membership who were predominately "highland orientated" (rather than those organizations who had branches of ballet, tap, jazz ballroom and perhaps today bungee jumping) These members of the HDSA were very influential in the establishment and formation of the SOBHD "book", through their knowledge of the comprehensive methods, styles and recording technique of all of highland dancing that dated back in time. They were responsible in great part for the compliance of same. Who were these "greats" instrumental in the formation of the SOBHD. Robert Niven Cuthbertson, Jean Telfer, May G Faulkner, Jean Symington to name a few and a collegue of mine and a well respected name Daisy MacKenzie, "all" HDSA members, who judged at Cowal for over twenty years. Cowal then due to it's affiliation and inductance onto the "Board" as a Games associate member, discarded the HDSA with its wealth of knowledge and dancers and teachers in favour of the SOBHD run events. They replaced the greats with such members who were merely ballroom teachers, Jack Muir, SDTA, Scottish country army dance advocates Dr. McLarren, and a host of unknowns over the ensuring year "interspersed" with some truly gifted professionals who had achieved prior notoriety, who stood to gain "more" through the "Board"
As is so prevalent now, many of these "recognized judges" have no history in the competitive arena. To quote the late great May G. Faulkner "They have no pedigree" and even "board" members who were around since the beginning of the establishment, question the validity of "who are these people that pass the examination" (SOBHD adjudicators exam) whilst others who are Cowal SOBHD World Champions have to take the exam numerous times, I believe due to politics and the ability of a minority to fail them. In the 1970's the "Board" maneuvered to abolish to HDSA by eliminating any teacher from it's member associations who were members and who also held a membership of any organization other than "Board affiliated organizations SDTA, UKA. Or the Batd. i.e. Tap, Ballroom Jazz or Bungee . Members "relied" on the income from teaching those extra curricular styles of dance and who happened to belong to HDSA had to make the choice. Membership dwindles from the HDSA, and from the professional Highland dance world, other non Board organizations found growth as members joined the HDA or the SOHDA and continued their dedication to Highland dancing, but they have been so dearly branded and denied their validity and credentials through the discriminatory policy of the SOBHD, Board. What I look for when judging Highland is the "presence" of a dancer as a compete package. Their attire should fit correctly rather than the loose fit baggy or un-kept cumbersome look or a kilt that has a tilt to one side. Jackets that don't "gape" at the neck or shoulders and also are the proper length for the conformation of the dancers body. 3. There should be buoyancy, non laboured look, have stamina and elevation without over exaggeration, a line of aplomb not "a deformity look with a sway back, protruding shoulders, protruding rib cage and a facial expression that has a pleasant portrayal of enjoyment not the facial expression reminiscent of "spastic cramping of the intestines and definitely not that we sometimes, as judges, witness that is acknowledged by ones mother as, "she is concentrating so hard on her feet that she just forgot her face!" 6. Pas de- basque's should be in position and when they should be inside the sword try not wandering indiscriminately, in and out like you are shopping at the mall. 7. Shuffles should be both inward and outward brush not one or the other, and high cutting is like, Arial feet, where we see "truly the lack of understanding of musicality" where the dancers either miss beats or jump so high like they need a parachute to land. In essence there are various levels of competitiveness some are good some not so good. By the time you reach the Adult Open or Premier level you either have it or you don't! 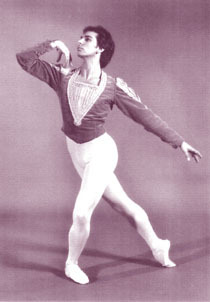 What I see in competition is the suppression of the true artistry and agility of a dancer over the adoption of a static regimented sometimes anemic or severely insipid display where a dancer believes that "elevation beyond the ozone layer" is more important than the correctness of style and technique. I personally welcome the acceptance of all styles and interpretations of the dancers technique and can easily disseminate between one competitor and another on legitimate merit. (Although it might not be compatible with mother or father results) Never the less it is my "honest unbiased opinion free of influence or restrictions". I don't conform to "giving the flavour of the month", it has to be earned. I always keep in mind that as judges we are sometimes severely criticized by parents who either don't know, but always want the best for their own child. This is very understandable, my mother was no exception, but irrespective I did learn to dance and develop and as a competitor of some note. "I was there" I have produced (through my teaching) greatness, I never solicited credit for any of my dancers the way it seems today's teachers do and yes some of my former students are members of the SOBHD panel and as outstanding competitive dancers they were unquestionably there too! Another question arises, Why can't the associations work together? Well THERE is a big question. It would behoove the whole Highland dance world if all associations if all associations were under one umbrella, a "true" World Governing Body. But alas when you have associations that pre-date the SOBHD and whose judges are posed the indignity of being examined into a board by those that are not their equal in either experience or in techniques then there is a problem. Our heritage is in radical need to have this situation addresses and God knows I have tried. But in the end it is up to the "closed shop few" within the SOBHD (and they know who they are") who control or are afraid to unite in fear of loss of "control"
I welcome sitting with other judges providing they too have the knowledge and professional background that I have, and certainly welcome the day that we could put all this farcical behavior behind us and united for the betterment of out decaying Scottish heritage and traditions of Highland dancing. I hope that I have given you an answer and the reasons for the current situation of anarchy in the Highland dancing world. I know because again…..I was there!!! Victor Wesley.